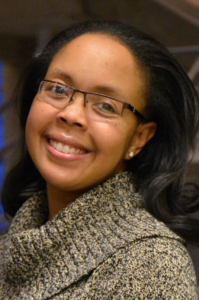 Dr. Latrice Landry is a Clinical Molecular Genetics Fellow at Partners’ Personalized Medicine and the Center for Advanced Molecular Diagnostics at Brigham and Women’s Hospital. Dr. Landry holds both a Masters and PhD from the Friedman School of Nutrition Science and Policy at Tufts University, and she completed an Biomedical Informatics fellowship program at Harvard Medical School prior to her current position. Dr. Landry has a broad research interest in how diet and nutrition interact with genetics and contribute to complex human phenotypes with a special interest in health disparities. Dr. Landry has worked with the Jackson Heart Study to better understand the impact diet has on genetic associations related to lipid traits. More recently at Partners and in the Office of Minority Health at the Food and Drug Administration, Dr. Landry's research explores the potential consequences of biases in genomic databases in precision medicine settings. Dr. Landry's leadership and work has been nationally recognized by the National Minority Quality Forum where she was named as one of 40 under 40 Leaders in Health 2016. Landry, LG, Ali, N, Williams, DR, Rehm, HL, Bonham, VL. Lack Of Diversity In Genomic Databases Is A Barrier To Translating Precision Medicine Research Into Practice. Health Aff (Millwood) 2018; 37 (5): 780-785. PubMed PMID:29733732 . Landry, LG, Rehm, HL. Association of Racial/Ethnic Categories With the Ability of Genetic Tests to Detect a Cause of Cardiomyopathy. JAMA Cardiol 2018; 3 (4): 341-345. PubMed PMID:29490334 PubMed Central PMC5875303. Landry, L, Nielsen, DE, Carere, DA, Roberts, JS, Green, RC, PGen Study Group. Racial minority group interest in direct-to-consumer genetic testing: findings from the PGen study. J Community Genet 2017; 8 (4): 293-301. PubMed PMID:28868574 PubMed Central PMC5614887.